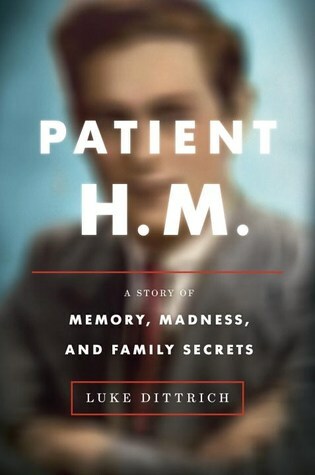 *Patient H.M. by Luke Dittrich will be release Tuesday, August 9th! Patient H.M. by Luke Dittrich. Random House, 2016. Ebook. 496 pages. H.M., the subject of this book, is one of the most important studies of neuroscience in the history of neuroscience. When he was a child, H.M. had a bad fall that is believed to have caused him to suffer from severe epilepsy. To combat this, he was given a new type of lobotomy that was meant to repair his brain and ease his suffering. The procedure was unsuccessful, and a result, H.M. began to suffer from amnesia and was thus unable to create new memories. The subject of Patient H.M. is fascinating, but unfortunately the writing itself was rather disappointing. While the primary focus of this book was on Patient H.M., there was also quite a bit of attention given to Bill Scoville, Luke Dittrich's grandfather. Scoville initially performed H.M.'s surgery and ended up becoming a prominent figure in the neuroscience industry - though in a much more controversial manner, as his methods were not as widely and readily accepted. I found the information surrounding Scoville particularly interesting and well-written, and I really felt that the fact that Scoville's grandson - our author - added much to the story-telling. It created a connection that made this book more than just a research project - it was more personal than that. It is obvious that Dittrich performed in-depth research while writing this book, and his authority certainly shows throughout his elegant writing. Though I am sure he is not quite as knowledgeable as an actual neuroscientist, I think it covers a lot of important areas of neuroscience in a thorough and understandable manner. His writing is mature and fact-filled, but also extremely readable. Overall, Patient H.M. is a fascinating story that is sure to enlighten anyone interested in any and all aspects of neuroscience, and I definitely recommend it to those who fit that description. It is due to the writing and somewhat disjointed nature of the book that has led me to give three stars, as it was these reasons that kept me from fully enjoying this book.